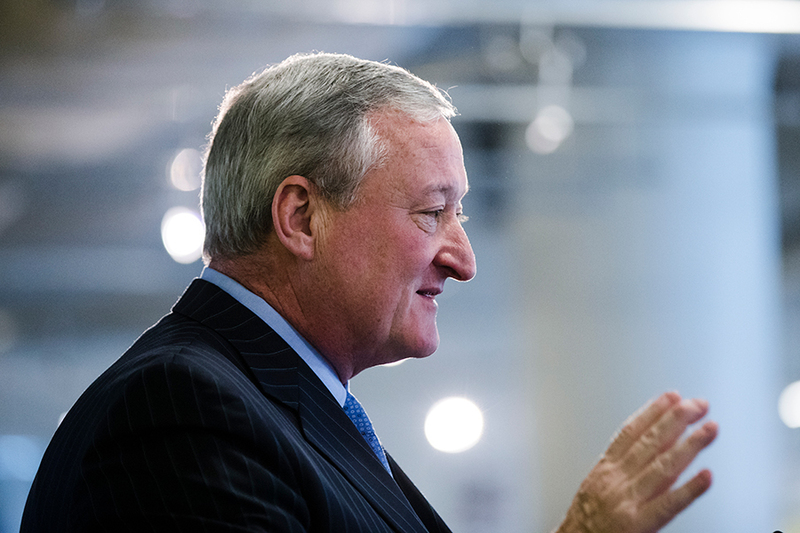 Mayor Jim Kenney is pushing to raise the minimum wage to $15 for city employees contractors. Kenney is scheduled to announce on Wednesday proposed City Council legislation to gradually increase the minimum wage from its current $12.20 an hour. The change would affect city employees as well as employees of city contractors and subcontractors. Expected to join Kenney on Wednesday is Rev. Greg Holston, executive director of the nonprofit Philadelphians Organized to Witness, Empower and Rebuild (POWER, for short). For years, Holston has helped to lead the fight to raise the minimum wage in Philly, alongside faith groups, unions and social justice activists. Philly.com reports that Councilman Mark Squilla is expected to propose the legislation to raise the minimum wage, which comes four years after the city passed a referendum to bump up pay for contractors and subcontractors to $12 an hour. Squilla’s legislation would reportedly raise the minimum wage incrementally over four years, until it reaches $15 an hour. It’s unclear how many people the switch would affect, but it would certainly include unionized employees at the Philadelphia International Airport, who in June reached a contract deal that secured them up to $13.60 an hour (as well as paid time off and job protections), following years of employee complaints and tension over low wages and poor disciplinary and sick pay systems. The overall minimum wage is still the federally mandated $7.25 in Pennsylvania, at least $1 less than the six states surrounding it.